As a Windows NT (meaning it can be adapted for individual and multiple processing) this operating system was one of a kind when it was released to the market. 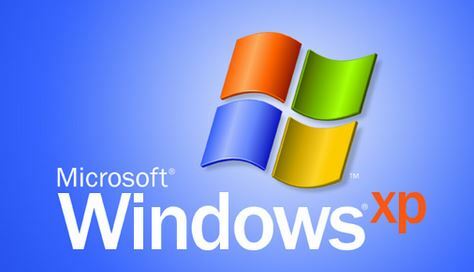 Windows 7 was ultimately designed as an upgrade to Windows Vista, which, even though it had brought light and graphics improvement when compared to Windows XP, still had performance issues. Therefore, in order to maintain the actual look of Vista, Microsoft maximised on the Vista’s hardware and software compatibility modes. The overall interface on Windows 7 was altered when compared to that on Vista such as the removal of the Mac OS dock style, which had been added on Vista. Instead, the taskbar was customised to provide close and related functions such as allowing users to pin regularly used applications. With 7’s interface, which was considered by critics to be a lot more intuitive when compared to Vista’s, there were a few flaws such account issues that were seen as a small problems that could easily be addressed. At the close of 2012, this operating system is reported to have sold up to 630 million copies. The sales made it the most used application when compared to other Windows versions, and even after the release of its successor Windows 8, 7 has continued to hold its share in the market, which was reportedly at 50.06 percent in mid 2014. As already pointed out, Blackcomb was supposed to be the actual successor to previous Windows versions, which included Windows Server 2003 and Windows XP respectively. While some features planned to be included in the new version were already available in those versions such as search options, others primarily for storage among other operations were absent. The release of Longhorn – that is, Vista – , notably a trial release in 2003 is said to be one of the reason Blackcomb’s development took a different turn, and perhaps stopping altogether. Following reported cases of worms (computer viruses) Blaster, Sober and Sobig during development phases of Blackcomb and Longhorn, Microsoft had to temporarily turn its focus into improving the operating system, XP, which was in use at the time. The giant developer started by releasing service packs that aimed to stabilise XP and increase its security. After addressing those issues through the new service packs, the company re-embarked on its initial objective. The two projects, Blackcomb and Longhorn were concurrent to each other. Blackcomb in 2004 changed its name to Vienna, which would later become Windows 7. Longhorn’s development continued as well, and Longhorn would later become Windows Vista. Vista was released and criticised heavily, although subsequent updates made it a more stable system. While the development of Windows 7 addressed most of the issues people took with Vista, those users already attached to Vista found it unnecessary to migrate. Windows 7’s name was made official in October 2008.